As a pregnant woman, one needs to go for regular prenatal care. Prenatal care would also include counseling and education regarding the manner in which the mother should handle several pregnancy aspects. During such visits, the care giver would put on board several issues such as physical activity, healthy eating, the kind of screening test the mother may need to undergo and what the mother should expect during labor and delivery. Pregnant women who regularly go for prenatal checkups end up with healthier pregnancies and babies. Obstetricians (OB): Pregnant woman having problems with health during pregnancy or those who are at risk of complications are usually advised to seek the services of an OB. Certified Nurse- Midwife (CNM) and a Certified Professional Midwife (CPM): Certified nurse-midwife and certified professional midwife refer to nurses who are trained to offer care during pregnancy and postpartum. For women with low levels of pregnancy risks, midwives would be a good choice. A certified nurse Midwife is trained in both midwifery and in nursing. Why Regular Checkups are Good? It is very important to carry out regular checkups during pregnancy. It helps in spotting problems which might occur during this period and take the necessary measures in advance to prevent them. every week from the 36th week till birth. The first visit includes a physical check up, blood tests and calculation of the birth date. They can also carry out breast test, breast checkups to monitor your womb and a cervical test coupled with a pap exam. 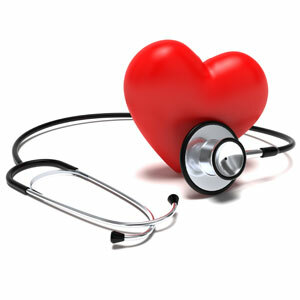 The doctor will record the woman’s history regarding lifestyle, health habits and relationships. There is need to provide the doctor with the most accurate information regarding the same. The prenatal visits would include examination of blood pressure, the baby’s heart rate and baby growth monitoring. There will also be some routine checkups in order to monitor the pregnancy. Such include anemia tests, gestational diabetes tests and harmful infections examinations. After the 28th week there is need to keep track of the baby’s movement. This would assist in checking if there is any distress with the baby. The mother can do this by counting the baby’s movement every evening. This is the time when the baby is most active. The normal count should be 10 movements in the first 20 minutes. This counting should be carried out every day in order to keep on knowing if the baby is normal. In case the count is less than 10 movements within the first 2 hours then there is need to consult doctor as soon as possible. The blood type and Rh factor of the mother as well as Anemia are other checkups that will have to be conducted during these visits. The doctor will also have to be check other infections including toxoplasmosis and STIs such as hepatitis B, syphilis, Chlamydia and HIV. The care giver might suggest carrying out other examinations. Some of these tests which are suggested for all pregnant women include gestational diabetes screening, Down syndrome and HIV. Several other tests might be suggested depending on the mother’s ethnic background, normal routine test results, family or personal background as well as the age of the woman. It is a common test conducted on pregnant women. It helps in diagnosis of particular defects of birth such as cystic fibrosis, down syndrome and spina bifida. The test is carried out by use of a thin needle which draws out some amniotic fluid and cells from the sac which covers the fetus. The tests are usually taken to the laboratory for further examination. Another major test is biophysical profile (BPP) which finds it use in the third trimester to check the overall baby health and assist in making decision pertaining the delivery time of the baby. It involves use of an ultrasound test coupled with a no stress test. It examines the breathing, movement, heart rate, muscle tone of the baby. It also monitors its amniotic fluid.